Top 5% of all Real Estate Brokers in Chicago based on volume. Mark possesses a 98.5% sale to list price ratio and a 37 day average market time, both significantly better than market averages. Mark is a lifelong Chicago resident, raised on the North Shore and has been a Gold Coast resident for 35 years. Mark specializes in high end condo, townhouse and single family residences with extensive experience matching client requirements to specific properties that best meet their needs. A graduate of Carnegie-Mellon University, Mark previously ran a successful chemical manufacturing business where he acquired the skill set for effective negotiation as well as the importance of quick customer response dealing with clients on a daily basis. Having traveled to every continent (except Antarctica), Mark has parlayed his passion for travel into an avocation, arranging and escorting groups for The American Bar Association as well as luxury vacations for high-end corporate clients. "Mark was fantastic at every step of the process, especially for us as first-time buyers.. He truly served as our "team captain," and made sure that everything ran smoothly. We always knew where we were in the process and he fielded some curve balls along the way. We highly recommend him!!" 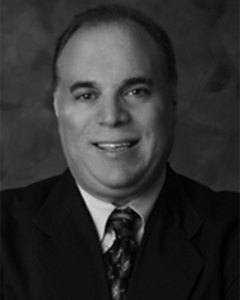 "Mark Rotblatt was an invaluable partner throughout the entire purchase process. He went the extra mile to be certain that we viewed all available properties, accommodated his schedule to ours, provided guidance in evaluating alternatives, was a strong advocate in negotiating our purchase and guided us through complex unanticipated issues such as litigation against the condo association under consideration, negotiated parking and followed through beyond our expectations. We strongly recommend Mark for purchasers and sellers. He knows the market and he knows his business." "Mark helped me buy a condo in East Lakeview and then rent it out, and eventually sell it few years later. He is one of the best realtors I have worked with for the following reasons:- he knows every building in Lakeview and Gold Coast area- provides honest and transparent advice- understands your needs and does not try to sell you stuff you don't want- very responsive (I was overseas and spoke to him even late at night)I would definitively recommend Mark and would hopefully use his services again in the future"
"Mark was a pleasure to work with! He provided several properties for me to review that met all the criteria that I had given him. I also appreciated that he stayed in frequent contact with me with the progress of negotiating our contract. He also went above and beyond when he accompanied me for the final walk through of my previous and current properties. Mark is well informed and always very professional." "Mark is simply oustanding. He was always available and accomodating to my wife's and I challenging schedules. He knows the market well and was invaluable to us during our research and throughout the entire procress. Thank you Mark! I would not hesitate to refer you to my friends and family and I look forward to work with you on our next purchase."